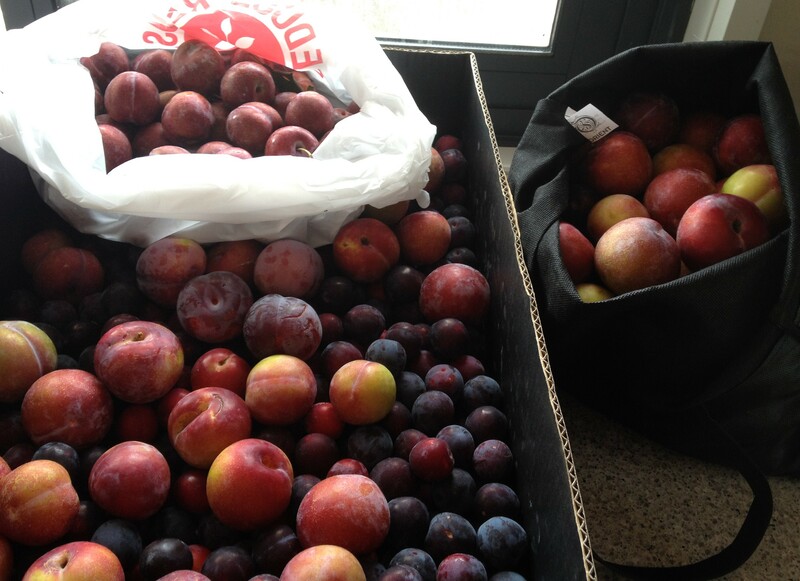 Plums seem to be one of those fruit that many people grow and have a surplus of. All these beautiful fruit pictured above and below are giveaways from lovely friends with plum trees – or in one case, giveaways from the tree in yard of the abandoned house next door 🙂 Even if you don’t have a tree, or a friend with a tree, plums are certainly one of those fruit that are sold very cheaply at markets during the season, and there are also often trees you can forage from in parks and along paths. While a perfect in season plum is a sublime thing to eat as is, for me they are mostly a wonderfully versatile fruit to cook with, especially for all those plums that are a little too sour, or hard, or soft, to enjoy plain, but perfect for many other purposes. They also work beautifully with other fruits that are in season; taking advantage of that transition from summer to autumn, they are wonderful with figs, with blackberries and then with apples. As most people are aware, plums make wonderful preserves, they are also one of the best stewed fruit, and are wonderful in crumbles and cakes. But I’ve also tried, and linked to below, a few more unusual ideas, like plum ice cream, a few recipes for plums with fresh figs, and plums in salad. Regarding the ideas below, all of these link to dishes I’ve made, most of them several times. Some are just quick ideas below, some are separate recipes on the blog, and some are recipes elsewhere online. A few are only available in books, but are such great recipes that I’ve linked to the recipe description on Eat Your Books, and you may find the recipe elsewhere (or you could buy the books, they’re both fabulous!). 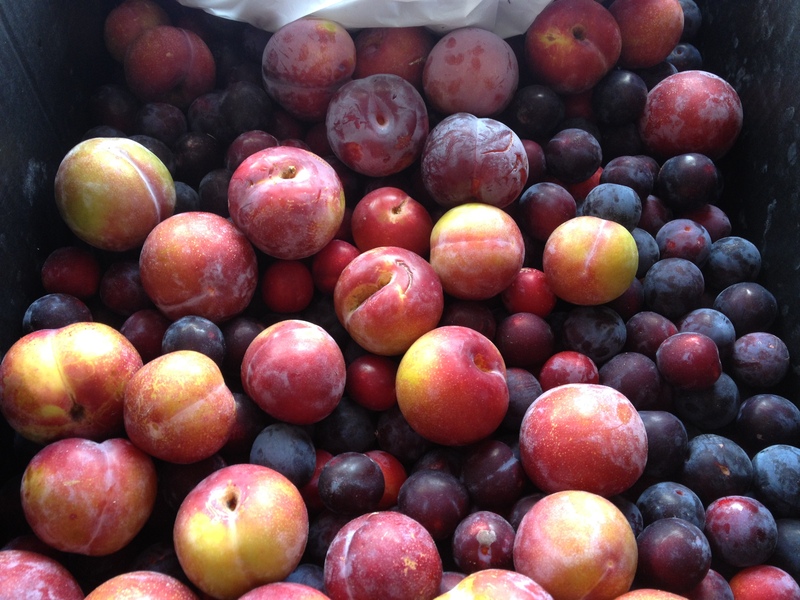 Frozen plums for crumbles and cakes – halve plums, remove stones, and freeze spread out as individual halves on a tray. Once hard, tip into a ziplock bag and they’ll last for months. Spiced stewed plums – stone plums if you like and put in a saucepan or baking dish with star anise, cloves, cinnamon, cardamom and a little honey. Add a splash of red wine if serving for dessert, or water if not, and simmer or bake gently until very soft and the liquid has thickened. These will keep for several weeks in the fridge and are delicious with yoghurt or ice cream. Plum paste – make using the quince paste recipe, or this one. I really should buy some plums and enjoy them. They are a versatile fruit Gary, and I forgot to mention also very good with pork 🙂 Grab some while they’re still in season! I couldn’t find the hot sweet plum chutney and spiced plum butter. The links were kinda dead. Plums are not very cheap here and I usually find them pretty tasteless. I love the way your describe the ones you eat. 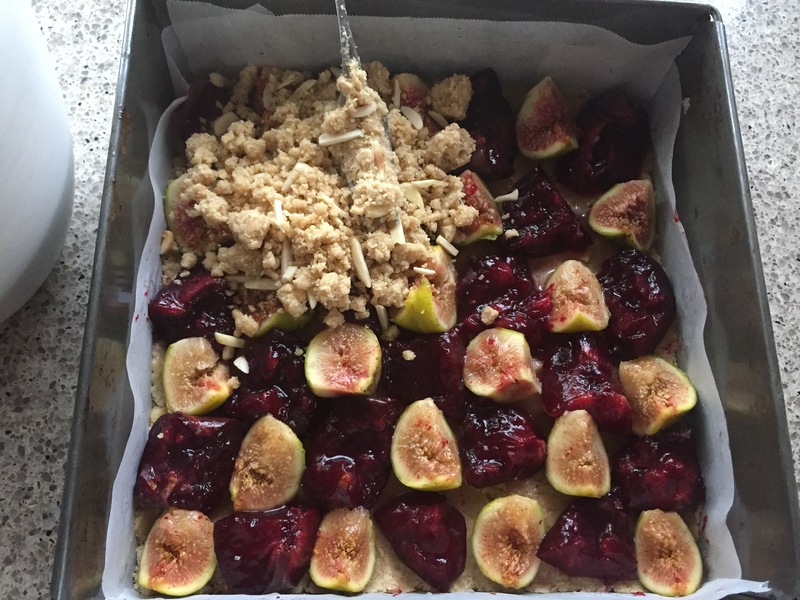 Some delicious sounding recipes there Beck and I oved the fig/plum crumble in your photo! I imagine lightly stewed frozen plums could work in that kind of pie? Plum sauce as a substitute for BBQ sauce is another good one. Thanks for sharing these Marvellous ideas.